The standard specifies requirements for and provides guidance on the activities required to manage all aspects of work in confined spaces in accordance with CSA’s occupational health and safety principles (found in CAN/CSA-Z1000-14, Occupational health and safety management). In a nutshell, it specifies requirements concerning management commitment, leadership, participation, assignment of roles and responsibilities, identification of confined spaces, identification of hazards, risk assessment, selection and application of controls, design considerations, training, monitoring and measurement, emergency response, documentation, internal audits and management reviews. There are also five Annexes that provide guidance on implementing the standard’s normative requirements, including sample forms that can be customized for the specific needs of the user. This is the second edition of CSA Z1006, Management of work in confined spaces. It supersedes the previous edition published in 2010. What are the main changes involving? the elaboration on the information regarding workspace design and modification. More specifically, what does this standard do? Note: However, the standard does not address safety management of enclosures or structures designed and constructed for continuous human occupancy or underwater enclosures (you are recommended to see CSA Z275.2 for these topics). 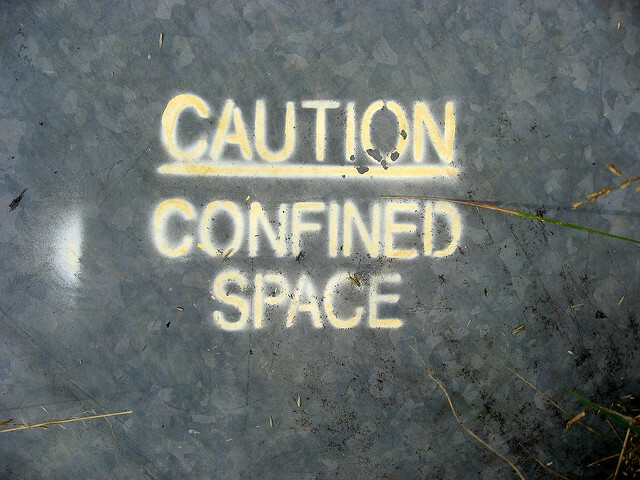 requirements for confined space emergency preparedness and rescue. In fact, Clause 4 specifies general requirements for a comprehensive confined space management program. Also, and Clauses 5 to 8 specify requirements for planning and implementing a confined space management program, including specifying roles and responsibilities, requirements for hazard identification and risk assessment, development of entry procedures, emergency response planning, and assessment of worker capability for performing assigned duties within a confined space, training requirements, and requirements related to controls, emergency response activities, and documentation. Moreover, Clauses 9 and 10 specify requirements related to incident investigation and analysis, corrective actions, internal audits and management reviews. Lastly, Annexes A through E provide guidance on implementing this standard’s requirements and include sample forms.